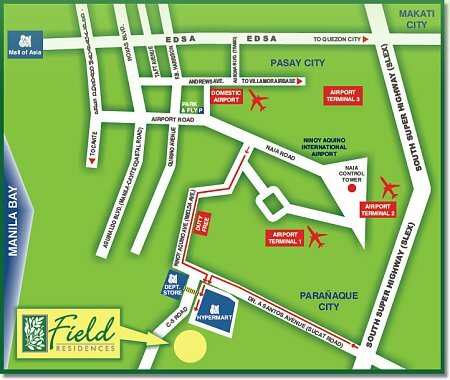 Field Residences is a condo located within the compound of SM City Sucat in Parañaque City. Given the success of the Field Residences Building 1 (slated for a January 2010 turnover), the SM Development Corporation launches Building 2 ahead of schedule. There 1BR, Tandem, 2BR Corner and 2BR Suite units, or even 3BR (combined units). 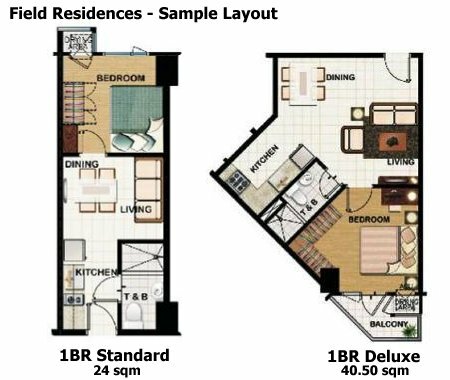 The floor areas range from 24.33 to 82.41 square meters, with prices in the P1.4 to P4.7 million range. Monthly amortization estimates range from P4,580 to P14,8912 per month. If you are interested in more details, please type in your email below, click on the get info button, and confirm your request for information. If you're using Yahoo, please check your bulk folder because the confirmation email might be there. Please note that prices and payment terms are subject to change without prior notice.